Tired of attempting to bath your pup who is constantly trying to launch themselves out of the tub? Or wish you could get through one fur-cutting session without a styling mishap? Well, you’ve come to the right place. We’ll be discussing some all-too-common grooming mistakes and how to come out the other side of a grooming session with ease. Firstly, just remember bathing your dog, when needed, is an important part of general pet care. 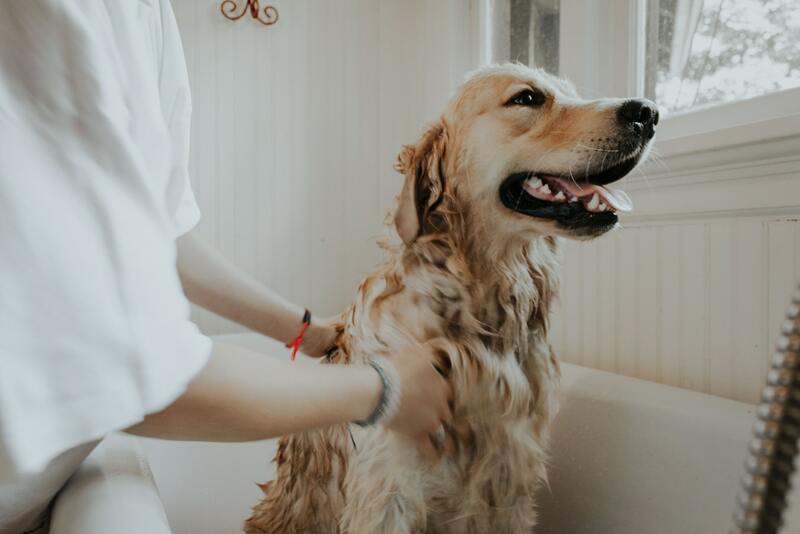 The benefits of bathing can include cleaning the skin and coat which helps to remove loose hair, scale and debris and improve their coat’s shine. It can also help keep parasites off your pooch, which is a bonus! Some of our favourite shampoos are the Frontline range. If you want to groom your dog without causing anxiety, injury, or a mess training is an absolute must. 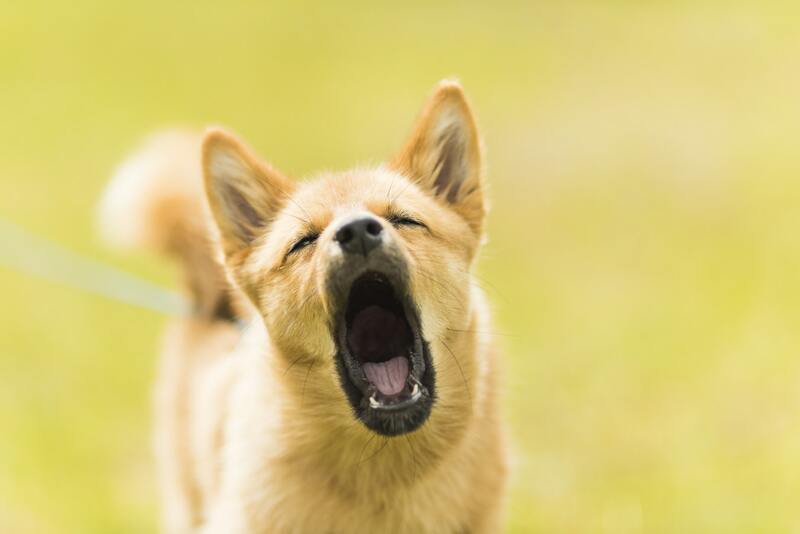 Preferably, you want to start as early in life as possible and work on making sure your dog is comfortable with being touched – as well as getting used to potentially buzzing or noisy grooming equipment. If you aren’t able to start this process when your pooch is still young, the next best time is now. We suggest creating a stress-free environment and giving your dog plenty of praise and rewards while grooming. Make it a positive experience, and be patient. 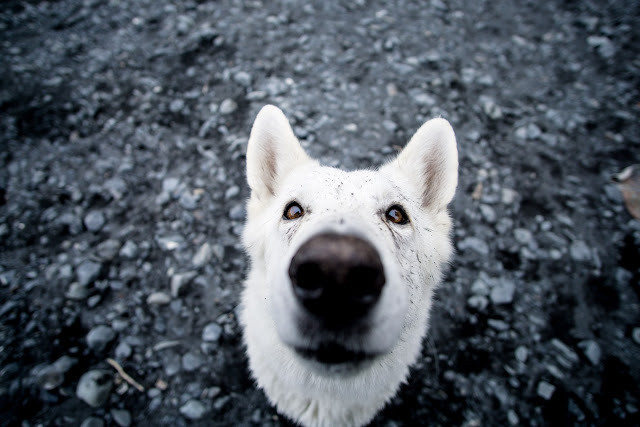 Your dog may be nervous at first, but keep at it. This will reduce the chance of your dog exhibiting anxious behaviour that will make grooming miserable for both of you. It is important to note that your dog should also get comfortable with other people touching them, as you may wish to rely on a groomer someday, and you don’t want your dog to be fearful or lash out. 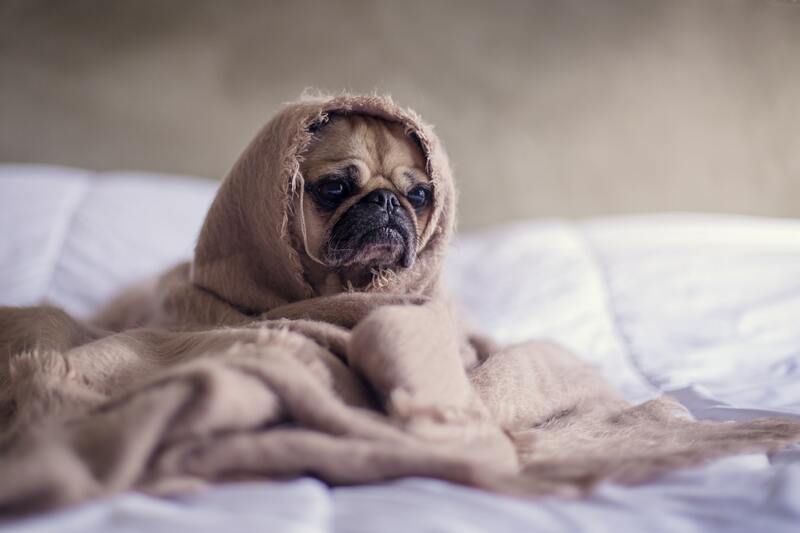 We find that many dog owners worry that cutting their dogs hair in colder months will cause their pooches to be cold – so they abandon grooming altogether. In theory this sounds great but it leads to severe matting before the warmer months even arrive resulting in the short shave you didn’t want in the first place. It’s best to keep up with brushing and bathing, and trimming your dogs coat if it seems necessary. This will help avoid matted, tangled hair while letting your pup’s natural coat keep them warm. There is a wide variety of grooming brushes and combs on our store, browse here. This one is important for all dogs but especially for dogs with long fur, which can easily mat when getting wet. Fur is likely to get tangled when in water, causing the brushing process to become pretty painful if you haven’t already detangled your dog’s mane before hoping in the bath. A quick brush before getting wet will loosen any dead hair tangled in the coat, which can prevent discomfort when you brush or shave your dog later on. Check out our brushes and combs here. In addition to brushing before bathing, you want to also brush after the bath too. This will be much easier and painless if you’ve brushed beforehand. Plus, this step is important as the bathing process will likely cause more dead hair to loosen. Just remember that brushing is always a before and after activity. Just because right now isn’t the time for a bath, haircut, and full-on grooming session doesn’t mean you can ease up on the basic things like brushing. A lot of dog owners choose to not full-on groom their pooch during certain seasons, or even postpone it until they feel ready to tackle the task of bathing, cutting, brushing etc... However, it’s still important to keep up with the motions of grooming so your dog doesn’t forget what it feels like – you don’t want to break their habit. 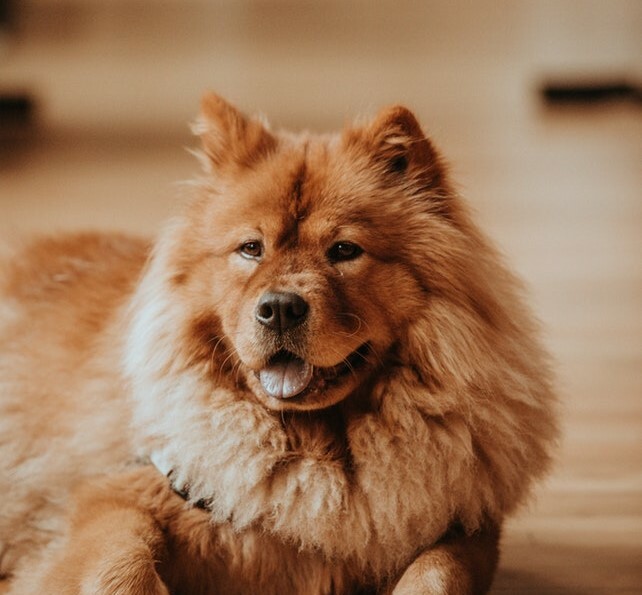 By giving them a regular brush in between main grooming sessions it will result in less stress when the time finally comes for a full-on groom. The last mistake we often see is not having the right equipment. Although it can often be a bit pricey, it pays to invest in some professional dog grooming clipper, scissors or even brushes. When it comes to dog grooming, there’s no one-size-fits-all. You’ll need to look into what tools are best for your breed and size of dog. For dogs with curly, or long coats, hair clipping should be a routine part of grooming. This will reduce matting, tangles, and the likelihood of fleas and pests hiding out in their fur. 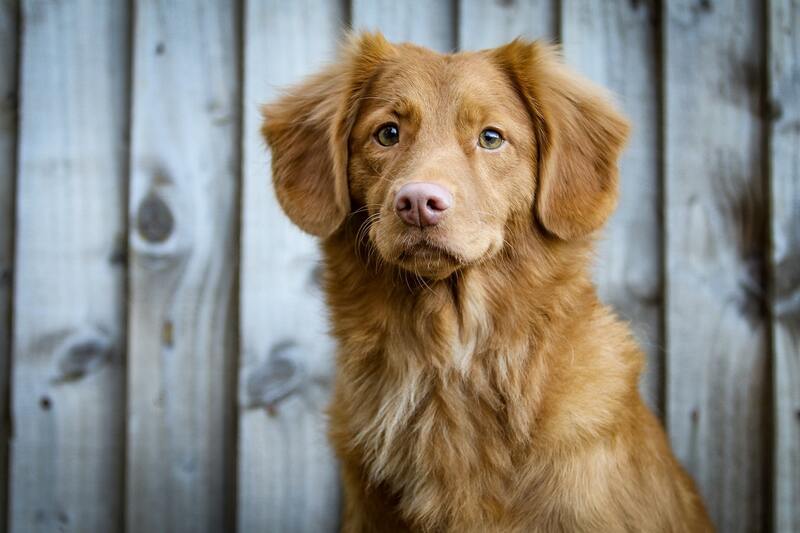 It’s also important to not that different breeds have different grooming standards, so ensure that you are trimming your pooches’ fur correctly for their breed type – we don’t want any styling mishaps! We hope you’re geared with all you need to take on your next grooming session with you pooch. Be prepared for easier grooming and a more stylish looking fur-friend. If you’d like more vet approved pet health advice, sign up to our monthly newsletter here, or visit www.vetshopaustralia.com.au/Pet-Health.